Join us as we kick off the Freshers season 2018 with a DNB vs Bassline special at Concorde 2! Joining us on the night will be one of the biggest names in Bassline, BASSBOY! He will be supported with a very special b2b set from 2/3's of Kings Of The Rollers, SERUM B2B VOLTAGE! 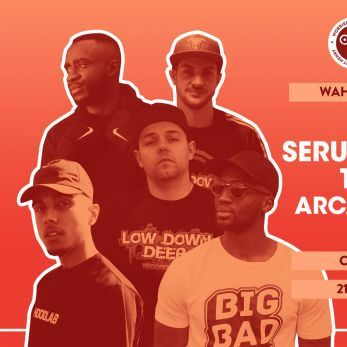 Completing the line up we then have Crucast dons TS7 & BRU-C! Supports comes from the local double act Arcane b2b Stature PLUS a Room 2 takeover from SWTCH!